The innovative V-Track PRO precision blades go in eight directions and automatically detect an optimal cutting position, which helps you achieve as close a shave as possible. The replacement of heads might be somewhat tricky. The Philips S9211 is currently the most sophisticated model in the Philips lineup. It's an advanced wet & dry electric shaver that ensures unbeatable closeness even on a 3-day beard. With 3 speed settings, it fits any skin and hair type. For finishing touch, it comes with the SmartClick precision trimmer. Comfort rings around the blades feature a unique microbead coating to reduce friction for effortless gliding and smooth redness-free shaving. Replaceable shaving heads are rather pricey. 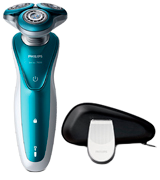 This fantastic Philips S7370 shaver boasts an excellent performance. Designed to naturally follow your facial hair, it will ensure a comfortable shave. 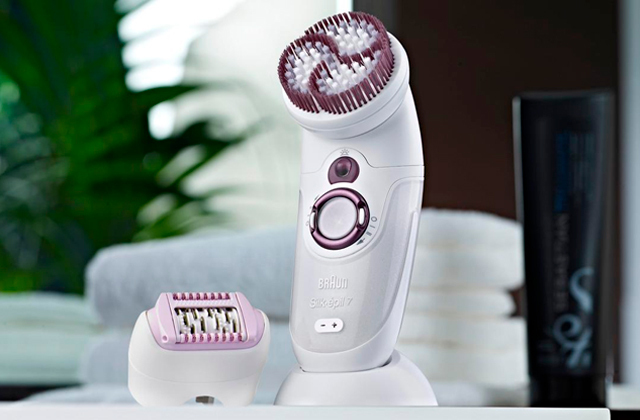 The Philips S7370 is very gentle on skin, thus, it's an amazing choice for those with sensitive skin. The precision trimmer and travel pouch are included in the set. 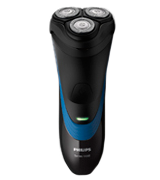 This model features a turbo mode that will ensure a faster shaving experience. With the 20% extra power boost, it can cut through even dense parts of your beard. It comes without a travel case. 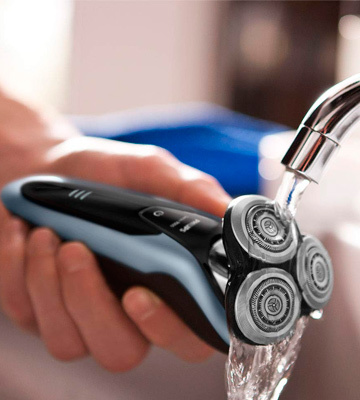 On purchasing the Philips S5530/06 Wet and Dry Men's Electric Shaver, you'll receive superior comfort, precision, and speed that will allow you to shave away or maintain your beard in no time. Boasting Turbo+ mode, this Philips rotary shaver is the best choice for those with dense stubble. ComfortCut blade system with rounded edges provides ultra-smooth gliding and the safest shaving possible without cuts, nicks, and skin irritation. The protective cap is a bit flimsy. The Philips Series 3000 electric shaver will make your morning routine extremely comfortable and help you achieve the ideally smooth skin. The razor can work up to one hour with a single charge, which is comparable to 17 shaves. It's a pretty basic model that has no extra frills like a travel pouch or a self-cleaning system. The CloseCut blades can self-sharpen during operation, so you can always shave off even dense hairs without much effort. The shaver needs as many as 8 hours to fully charge. The S1510 / 04 cordless shaver offers excellent dry shaving results thanks to flexible heads that move in four directions. 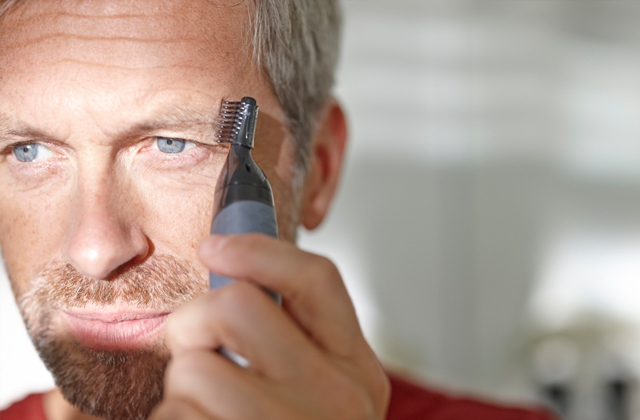 Plus, the pop-on trimmer can help you groom your moustache and sideburns. It's a great entry-level model for those who just want to make a transition from a manual razor to an electric shaver. 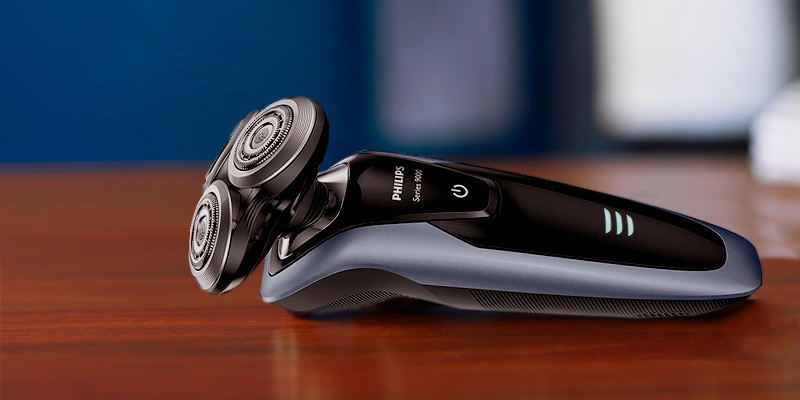 The Philips Series 9000 Wet & Dry Men's Electric Shaver is a sophisticated model that can bring shaving to a whole new level. 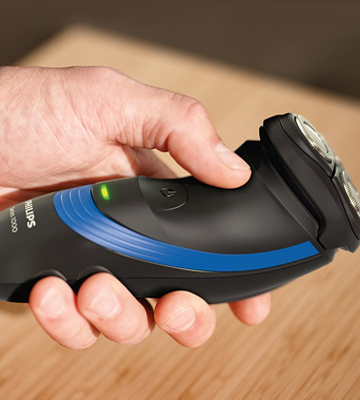 Compared to older Philips series, this advanced shaver cuts 20% more hair per stroke and gives a 30% closer shave. The item features V-Track Pro blades that ensure an optimal cutting position and can even self-sharpen owing to their unique design. They work best on 1-3 day stubble, however, they are not so good for longer hairs. 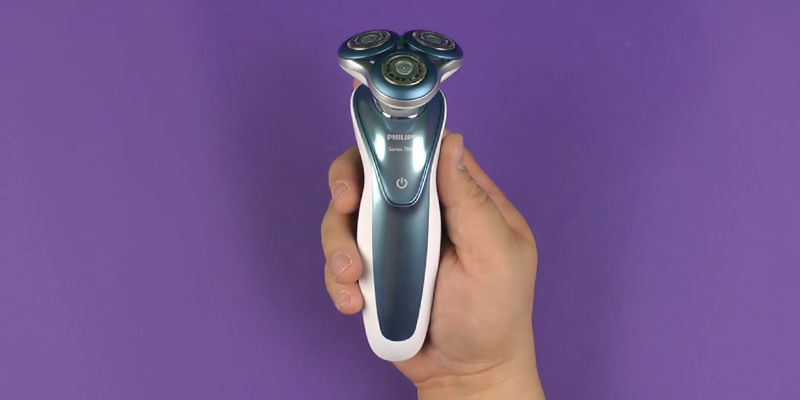 Thanks to the 8-directional ContourDetect head, the shaver follows the contour of your face and neck precisely, catching almost all hairs in just one pass. 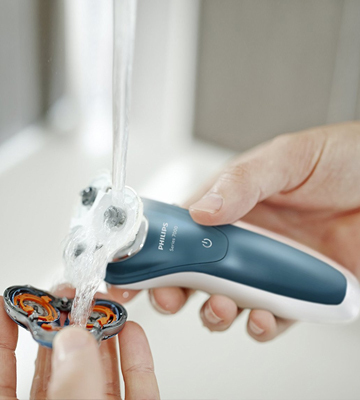 This Philips electric shaver offers three speed settings (low, medium, and high) to fit sensitive, dry, or rough skin equally well. Moreover, with the 100% waterproof Aquatec Wet and Dry seal, you can choose between dry and wet shave. All this makes the model extremely versatile and suitable both for first-time and pro users. The package includes a breathable travel pouch and a precision trimmer that can help you complete your look by shaping your moustache or sideburns. If you wish, you can also get a bundle with the SmartClean PLUS centre for extra money. The SmartClean PLUS centre cleans, lubricates, dries, and even charge the shaver at one touch of a button. For sure, this premium model from Philips shaver series 9000 is currently one of the smartest and most luxurious options available on the market. 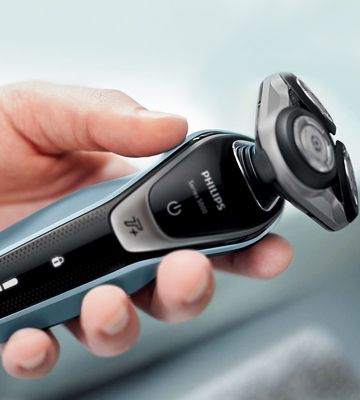 This Philips shaver series 7000 is designed with a user care in mind. This model will ensure delicate yet close shave even for a sensitive skin. 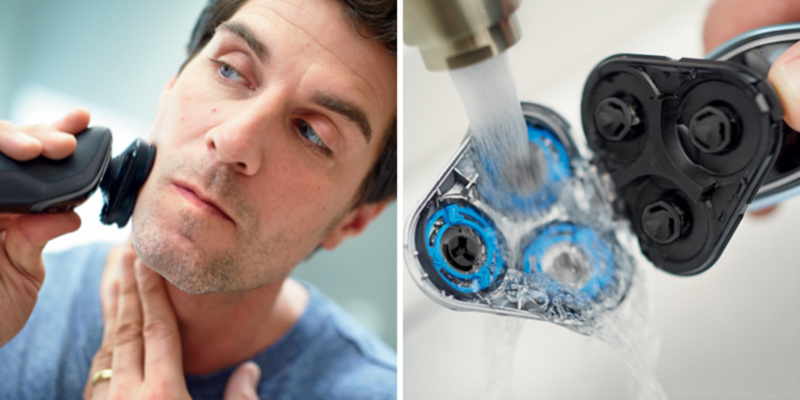 Comfort Rings are made of a one-of-a-kind material consisting of numerous soft and flexible microbeads allowing the shaver to glide smoothly and effortlessly across your face and minimize irritation. 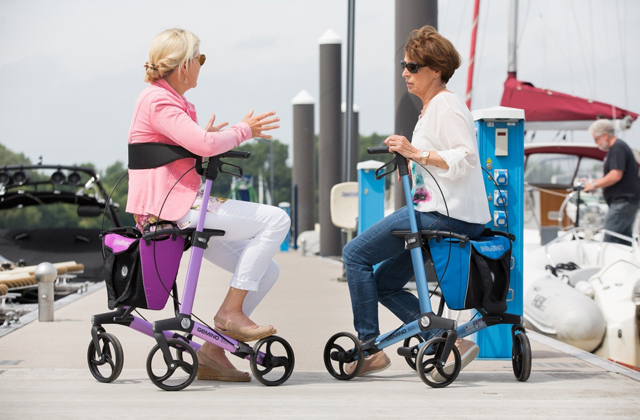 DynamicFlex™ heads move in 5 different directions hugging the contours of your face and neck and ridding you of the need to go over the same area again and again. 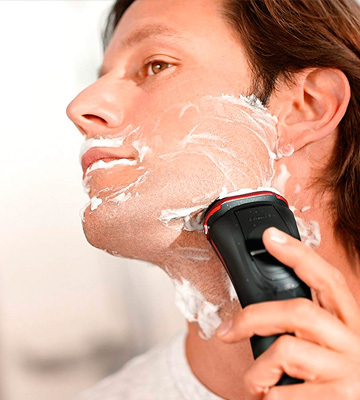 A GentlePrecision™ Blade System will protect your skin and deliver a close comfortable shave. The blades feature special slots to position each hair at its ideal cutting spot and carefully cut long, short or flat-lying hairs without damaging your skin. Hence, you will need to shave more rarely as compared to other electric razor models. Moreover, this model comes with a special precision trimmer to maintain your sideburns, moustache or beard and finish your perfect image. 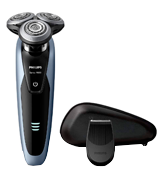 The Philips Series 7000 razor will ensure a truly clean and gentle shave without irritations, redness, and razor bumps! The shaver comes with a travel case for safe handling and transportation while a travel lock will prevent occasional razor activation. A built-in battery indicator will show the battery charge. A replacement head indicator will let you know that it’s time to replace shaving heads for maximally efficient performance. Philips states that on average, a set of shaving heads is enough for 2 years of regular use. However, this period is individual and depends not only on the frequency of use but also on density and type of your facial hair. As for cleaning, you can easily wash the blades with water and a special indicator will light when it is time for cleaning. The Philips S5530/06 Wet and Dry Men's Electric Shaver comes at an affordable price and has virtually everything you would want from an electric razor. Featuring a MultiPrecision Blade System, this device is capable of raising and cutting all hairs, including the remaining stubble, delivering a clean cut with no more than a few strokes. You will also be able to shave closer thanks to the dual-blade Super Lift & Cut feature. With this design, the first blade raises each hair while the second blade easily cuts just below the skin level making sure that the result is as smooth as it could possibly be. 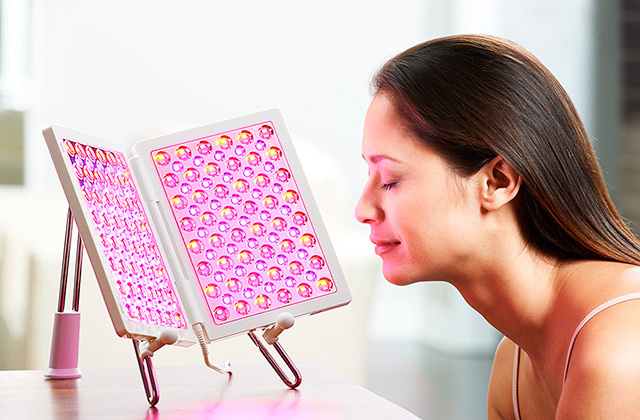 And if you're the kind of person that is overly self-conscious about the shape of your facial features, this model comes equipped with 5-directional ContourDetect heads that are capable of following every curve of your face and neck to provide you with an extensive and satisfying shave even in those areas that most other models would find hard to reach. This Philips shaver series 5000 comes equipped with a SmartClick Precision Trimmer technology that will allow you to take care of your facial hair and is especially suitable for shaping your moustache and sideburns. 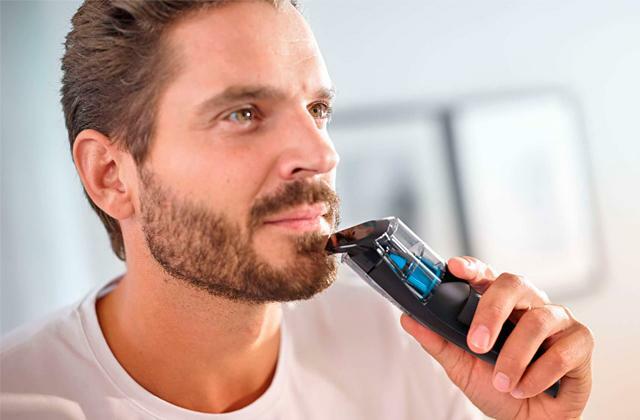 The device also includes a turbo mode that will ensure a faster shaving experience even through some of the more dense parts of your beard by providing an additional power boost. 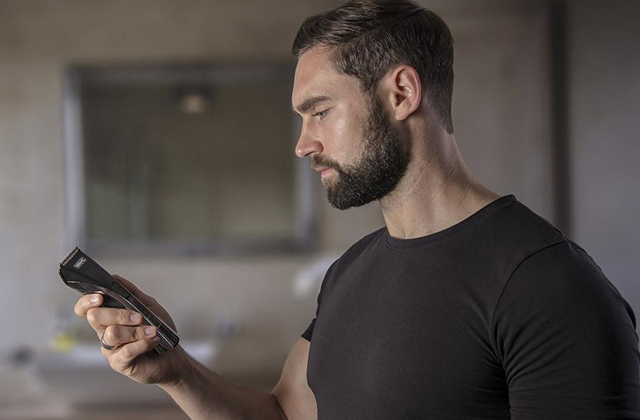 Overall, with the Philips S5530/06 Wet and Dry Men's Electric Shaver, you'll receive superior comfort, precision, and speed that would allow you to shave away or maintain even a dense beard with no hassle at all. If you're looking for a basic shaver for a daily use without all those extra frills, you've just found it. This Philips electric shaver is a simple yet efficient model that can make your morning routine easier and faster. With a 4-directional flex head, it provides very smooth and close shave. Plus, it easily gets into all the nooks. The ComfortCut Blade System runs gently across your skin, protecting it from nicks and cuts. The shaver works pretty well for dry shaving even without using any pre-shave lotion. And since it's fully waterproof, you can also use it for a refreshing wet shave in the shower with shaving gel or foam. 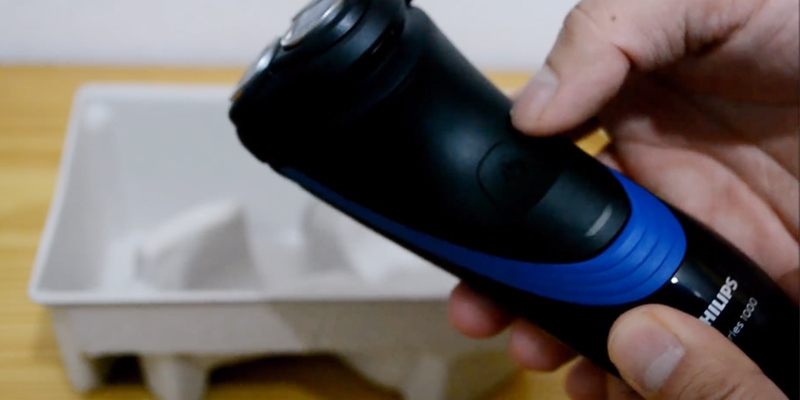 The shaver itself is quite lightweight and easy to hold. It comes with a mini on-board trimmer for styling either moustache or sideburns. Like advanced Philips shavers, the S3580/06 model is equipped with a powerful and energy-efficient lithium-ion battery. The full charge takes about one hour and lasts for about 17 shaves (50 minutes of cordless shaving time). 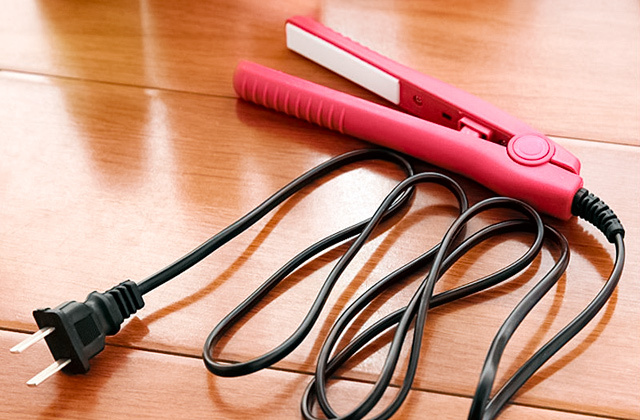 If needed, you can give the item a quick 5-min charge that will be enough for one shaving. 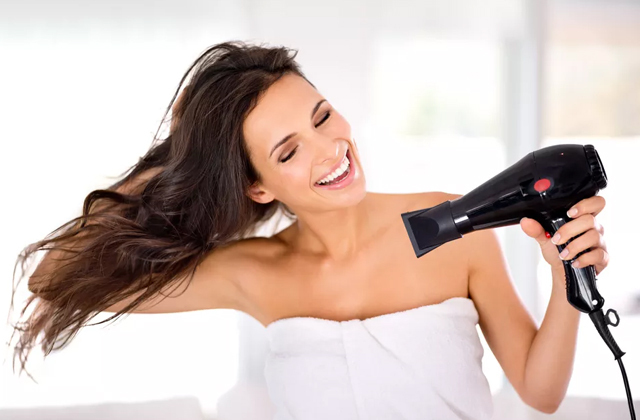 The shaver requires low maintenance - you simply need to open the shaver head after each use and rinse it under tap water to keep the device fresh. 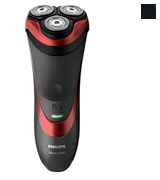 Overall, this model from Philips shaver series 3000 is an excellent basic model for home use. Want to switch from a manual razor to electric? The Philips Series 1000 Dry Men's Electric Shaver S1510/04 is your choice. It's an excellent entry-level model for beginners that boasts pretty good performance. It's fitted with four-directional flex shaving heads that adjust to every curve of your face automatically. They ensure very close shave even on your neck and jawline. And thanks to their self-sharpening feature, they always provide very smooth results. 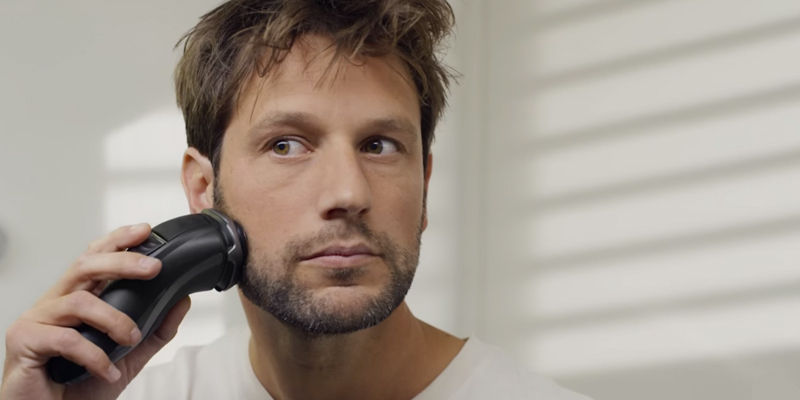 The shaver has a pop-up trimmer for grooming your beard and moustache. We would like to note that the S1510/04 model isn't 100% waterproof and, thus, it's suitable for dry shaving only. Also, compared to later Philips series, it has a lower-grade lithium-ion battery that lasts for 40 minutes (about 13 shaves) and needs as many as 8 hours for a full charge. However, for the price, it's a minor sacrifice. The shaver looks sleek and although it's quite bulky, it easily fits in a hand and has a nice feel. With a one-touch opening head, it's very easy to maintain. 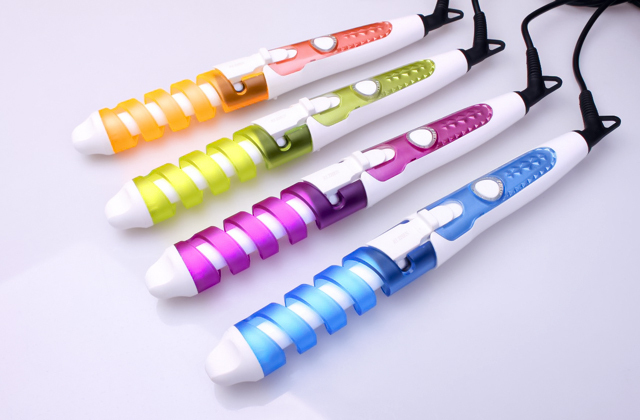 Just open the head by pressing one button and sweep away loose hairs with a cleaning brush (included in the set) after each use. All in all, the Philips S1510/04 dry shaver is a simple and affordable shaver with an excellent cutting head that doesn't require tricky maintenance. 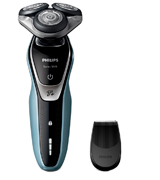 What Is a Philips Norelco Electric Shaver? Philips is a leading health-technology company in the world, which aims "to improve people’s lives through meaningful innovation". The company understands the challenges their customers face and constantly delivers innovations to meet their needs. All Philips products are designed to the highest standards and boast high-quality performance and ease of use. For this reason, men all around the world choose Philips Norelco electric shavers for a superior grooming experience. These shavers are stuffed with the latest technologies and are offered in various series for different types of hair and skin. Some Philips men's electric shavers offer dry shaving only, while others can be used in a shower as well. Yet, they all ensure fast, close, and precise shave. 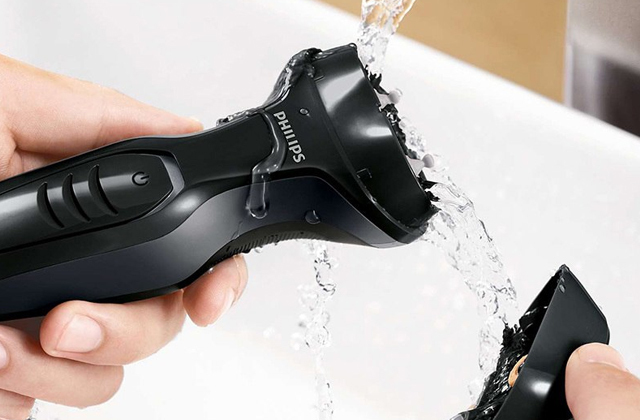 For this Philips shaver review, we have picked the best models for any need and budget. We hope you'll find the one that will make your grooming procedures as comfortable as possible. To make your morning routine easier and your teeth shinier, you might be also interested in one of the best Philips electric toothbrushes. 1. Male grooming, Philips global. 3. How to shave, American Academy of Dermatology. 4. Adam Hurly How To: Trim Your Beard, Birchboxman. 5. About Royal Philips, Philips global.